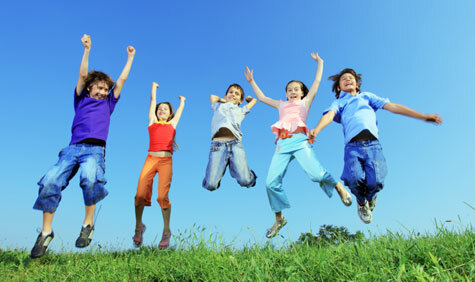 Health games for children offers everything they need to stay healthy and physically fit. A variety of methods are used to learn, practice, and reinforce what they have learned. What they do in school, like reading, experiments, research, and health games, but remember that it is also very important to reinforce these subjects at home. We should bear in mind that children are likely to have questions that they want to ask parents or find out through research for themselves too. Practice at home can help. The scope of health education is a wide one. Children will learn many things including how the body works, healthy foods, to why exercise is so important. They will also explore things like germs, bodily functions, and how and why things happen in their body. They will also learn about things that are bad for their body and be guided to make the best choices for their health and well-being. Health games for children can be delivered at school, in outside classes, or online. Online games help students learn about health in ways that keep their interest up and motivates them. Online activities have the advantage of combining info about health with fun graphics and educational games to encourage children to come back. Taking good care of your health is very important. If you develop healthy habits early in life, there is a better chance that you will keep up those good habits throughout your life. Outdoor exercise will deliver more oxygen to your blood than a workout indoors. There are many different aspects to health including physical, emotional, mental and spiritual. Optimum Health Secrets deliver cutting edge info on the air we breathe, water we drink, food we consume. It also goes into detail about what we feel, think, and do. If you understand how your body works, what is good for you and what is not, you can make sure you avoid getting sick and feel much better. When you learn about health, there are lots of ways to do so while still having fun. Playing games that teach about the human body and health can make learning about it easier and give us new ways to explore how to stay healthy while still having a good time. Teach kids about good dental health. How children can avoid infectious diseases. How kids wash their hands. Easy cool exercises kids of all ages can try. fun exercises for your daily routine. Encourage Healthy Eating for your kids. Test your kids knowledge of the human body. 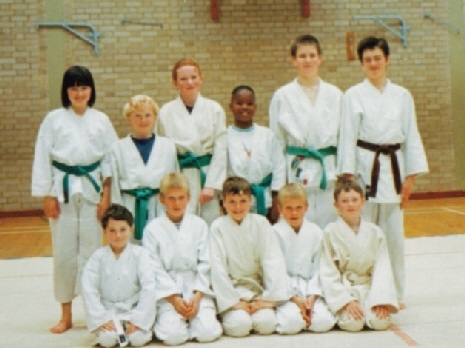 I founded the Arun Aikido Club in 1992 in Bognor Regis, West Sussex UK. My daughter Natasha is an Aikido instructor who runs our junior classes, and she includes a variety of fun aspects to the study of aikido, which is a martial art. Although there are plenty of technical details, she also uses her communication skills to help our children work together as a team, and also focus on their skill development. Usually, studying a martial art is a rather serious hobby that involves concentration, flexibility, breath control. But adding the fun element definitely helps our students to learn the more technical aspects of the art. We use a variety of methods to help kids relax, join in, and come out of their shell. For example: hand to eye coordination practice, and speed and leg movement using sponge balls. Asking children to help others less skilled than themselves... this is sometimes hilarious! 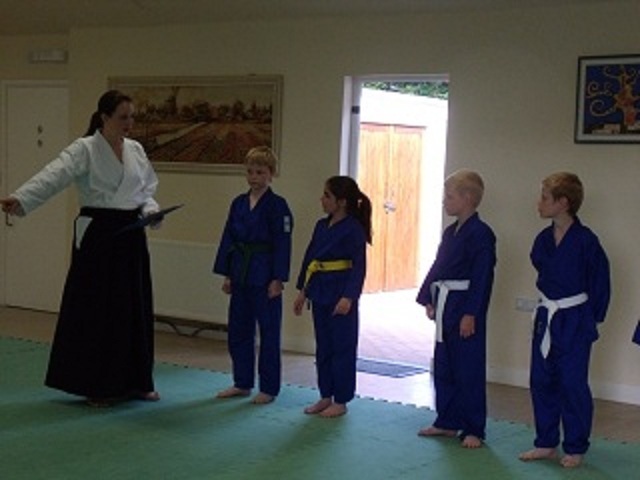 Pretending they are the instructor, which includes wearing a black belt... they love this one! Throwing an adult instructor... this gets them giggling too! There are many more methods we use, but I'm sure you get the picture. real health games for children. Do you want a health blueprint? My unique Optimum Health Secrets offers you essential tips to experience glowing health. Plus THE most important health tip available anywhere!